The U.S. Attorney’s Office for the District of Maryland recently announced that a Prince George’s County man has been sentenced to more than four years in federal prison for illegal possession of a firearm. While a gun possession case may not seem like a newsworthy headline considering all the violent crime and police corruption currently taking place in the Baltimore metro area, this case is worthy of discussion because law enforcement never actually recovered a gun. Rather, state and federal officers built their case around a video they viewed on Twitter, which depicted the defendant in possession of a semi-automatic handgun. Law enforcement used the Twitter video to obtain warrants to view additional social media accounts as well as search warrants for the defendants two known residences. The social media warrants yielded more pictures of the defendant with guns and the home search warrants produced a box of ammunition with the defendant’s fingerprints on it, but there was never an actual physical gun that police tied to the defendant. Nonetheless the defendant and counsel must have felt the government had enough evidence and struck a plea deal for the four-year sentence. Firearms have a broad meaning under federal law, and there is no requirement that the gun be working and operable at the time of the offense. Possession of anything readily converted to expel a projectile is all the government needs to prove, and detailed pictures or videos along with testimony from a firearms expert could be enough. The video in this case apparently showed a close up of the gun’s magazine and the bullets, and feds stated the defendant could be clearly seen loading the gun. The defendant ultimately pled guilty to one count of possession of a firearm by a prohibited person. This offense is similar to the Maryland state law that prohibits certain individuals from possessing guns under the public safety code. There are nine categories of prohibited persons including convicted felons, fugitives, habitual drug users and those who have been involuntarily committed to a mental institution. Also included in the prohibition are persons who have been convicted of a misdemeanor crime of domestic violence or who are subject to a qualifying domestic protection order. The defendant was recently found guilty of second degree assault in the Ellicott City district court, and has numerous other offenses and prior protection orders that may have disqualified him from gun possession. 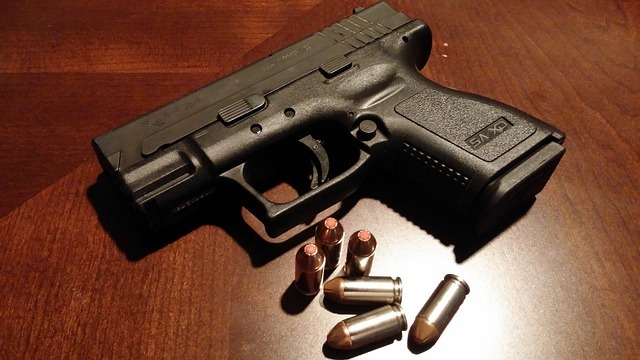 Under federal law the penalty for illegal possession of a firearm is a maximum of ten years, but the actual sentence is typically based on the guidelines. Naturally those found guilty of this offense almost always have a criminal record that will contribute to a higher guideline score, though the bottom of the guidelines with no record is still more than a year in jail for this offense. This case began with Howard County Police and or prosecutors listening to the jail calls of a murder suspect. In one call the murder suspect requested that the defendant delete all pictures and videos of the suspect and his associates with guns and drugs. Police detectives then located the Twitter video and the rest is history. Jail calls are not private, and anyone locked up on a serious charge can expect his or her calls to be monitored. As you can see in this case, jail calls can come back to bite the jailed defendant and the friends or family members on the other end of the line. 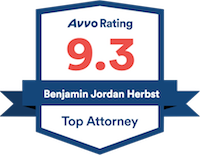 Benjamin Herbst is a Maryland criminal defense lawyer that specializes in firearms offenses in state and federal court. Benjamin has years of experience representing out of state defendants from places such as North Carolina and Florida where gun laws are far more relaxed, and the process for obtaining a permit is exponentially easier. If you have a question about a firearms case or any other charge feel free to contact Benjamin at 410-207-2598. Laurel Man Sentenced To 4 Years In Federal Prison For Illegal Gun Possession Depicted On Social Media, justice.gov.